I found this one worth posting for, so for the benefit of those who were not able to read this in the local newspaper, I’m posting this one. This was Mayor Junie Martinez’ answer to the questions that was sent to him sometime in 2010. This is was published in the local newspaper after they got hold of it. Well, not everything, but more or less, the ideas were published. But in here, this is the exact article, word for word. FROM: Mayor Celestino E. Martinez, Jr.
Q1. How do you assess the prospects of Bogo’s growth with the probable stripping of its city-hood? Tell us how much of your development plans was pinned on Bogo keeping its new LGU status? A. Still pretty good. It continues to be the hub of education, trade and commerce in northern Cebu because of its strategic location. As my Vice-Mayor Santiago Sevilla had said, except for the greatly reduced IRA it’s still business as usual in Bogo. Of course, the IRA of a city would have given tremendous boost to our economy and would have resulted in better services, facilities and amenities. We must remember that Bogo’s economic life is closely linked not only to those of the adjacent municipalities but also to those of the neighboring provinces of Leyte and Masbate. However, the more immediate beneficiaries of any growth spillover would have been the neighboring municipalities. You can say we had pinned a lot of our development plans on Bogo’s being a city. But with the probable stripping of such status we have adjusted our sights. Yet, during the two years we were receiving IRA as city we had put into place several urban development fundamentals. And we are determined to pursue them as far as we can. Like the creation of a new business center and constructing on the site Bogo’s new house of government to ensure people would go there. Observing that rapid growth in the recent years had constricted the erstwhile spacious commercial areas, we decided to expand Bogo’s space for trade and commerce in a place we had identified as having the strongest potential for growth. The new business center is situated near Polambato which has a broad stretch of flat lands declared a special economic zone by President Joseph Estrada. Polambato also has a new Roll-On, Roll-Off port which we had successfully developed into Cebu’s northern gateway to the Philippine Nautical Highway. With excellent natural harbor endowments the port quickly developed into a favorite alternative passage point for people and products to and from the provinces of Masbate and Leyte and other provinces. Indeed, less than two years after being opened we had to expand its capacity in order to accommodate increasing maritime traffic. The new business center is expected to complement this development. We have also constructed new market buildings to accommodate demand for more market spaces. Q1-A. How will your having supported President Noynoy Aquino in the last elections help in coping with the setback of the probable nullification of Bogo’s city-hood, especially considering that you didn’t support the sitting governor in the last elections? A. We supported President Noynoy in the last elections as a matter of principle and as a matter of friendship. Our ties with his family started during the snap elections of 1985 wherein I was the first mayor in the entire province to throw open and solid support behind her mother’s candidacy. She was in Cebu when the 1986 EDSA Revolution broke out and, in fact, she stayed in our house in the city before she was moved to the Carmelite monastery for sanctuary. We stood by President Noynoy in the last elections believing he has the best potential for bringing change to a society made decrepit by decadent patronage politics and equally decadent national governance. Of course, we are hoping the President could help us in our present setback but I’m too old in the game to expect too much. I’m a pragmatist and I believe the President has to be given space even by friends like me in order that, free from the fetters of friendship or political alliances, he can fine-tune his organization, determine his administration’s priorities, and get his system truly running the way he sees best. As to my not having supported the present governor in the last elections, it was a direct consequence of my contrary political position. We can’t eat our cake and have it, too. Win some, lose some. That’s true of life, politics and love, if I may add. Q2. You’ve spent about three decades in public service: 19 years as mayor and 11 years as congressman. What do you see as enduring achievements of that career and, if given more time, what still do you want or need to do? A. Securing Priority Development Assistance Fund or PDAF during my time was not as easy as it is now. Nor were they as large. So whatever fund I secured I saw to it that they went to projects I believed would bring long-term economic benefits to my constituents, not to quick-fix derma projects whose principal aim is political cosmetics. What the public may not know is that as congressman, I saw to it that where feasible, the poorest towns in my district should have projects that would serve to jumpstart economic activities there and in their neighbors. Such was the case with Tabuelan which was once a very sleepy town. I had its present port and its present respectable municipal hall built. The same goes for the ports of Hagnaya and Santa Fe. Then, observing that for a long time good roads were only from Cebu City up to the municipality of Carmen, I lobbied with then DPWH Undersecretary Romulo del Rosario (who was married to a Fernan from Bogo) to include in a foreign-funded assistance program, the concreting of the road from Carmen to Hagnaya. Likewise, when my wife was congresswoman, I also helped her lobby successfully for inclusion in a foreign-funded program the concreting of the road and bridges from Tabuelan to San Remigio, a project that saw actual implementation when my wife was no longer congresswoman of the Fourth District. But it was during her time that the Tabuelan-San Remigio road and bridges project was secured. I was also responsible for the rehabilitation of the Severo Verallo Hospital while congressman. I was also the Chairman of the Committee on Local Governments in the House of Representatives that pushed for the passage of the Local Government Code of 1991. My long years as mayor had given me insights on local governance and have helped a lot in giving flesh to the concept of local autonomy in the Code. I have always believed that barangays and LGUs know best their priorities and that they should be given direct hand in the choice and implementation of projects they believed could best address the needs of their respective localities. 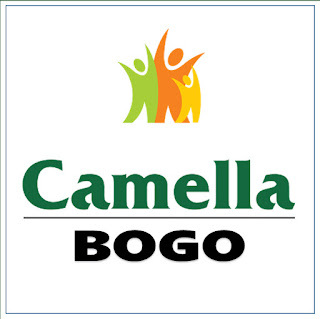 As mayor I definitely helped make Bogo what it is now. The present municipal hall is a product of a self-help project that I initiated, helped by the proceeds of the first ever low-cost housing project in the country. This project even became the model for then First Lady Imelda Marcos’ low-cost housing program during the martial law years. There are still a lot of things I want to do if given more time - like making Bogo an alternative international port. What many don’t know is that Bogo has one of the best sheltered coves in the country that makes it an ideal alternative maritime hub for the Visayas. We already have the plan which, with a relatively small amount of money, can decongest the ports of Cebu City and spread growth and progress to the countryside. I would like to believe it is through that principle that I have helped bring progress to the towns of Tabuelan, San Remigio and the island municipalities of Bantayan. I keep on working towards that goal and keep on hoping it can be done. You see, I’m like that old man in the story who keeps on planting trees under whose shade he knows he may no longer take shelter. Many of us politicians are actually like that.